Thrive offers a variety of experiences for youth with developmental or intellectual disabilities, ages 7-16. We focus on creating an environment where kids can be themselves, gain confidence, meet new friends, and realize greatness. We strive to discover the unique strengths of each participant and design opportunities that spawn success. Thrive’s youth initiatives empower young people to work beyond their disability to reach their full potential. 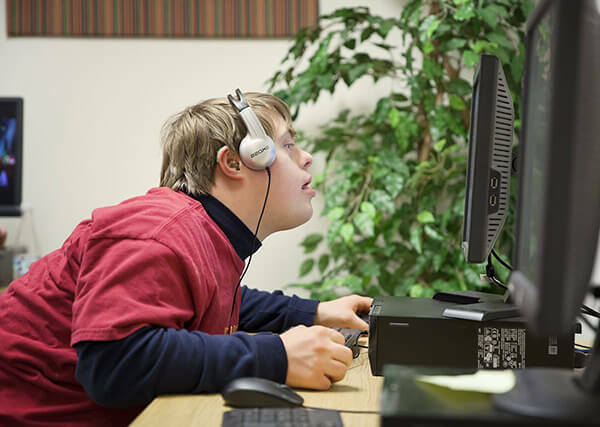 With a concentration on building self-esteem and developing social skills, there is an ever-evolving array of activities and youth disability experiences to choose from. Questions? Email youth@icanthrive.org or contact us here.